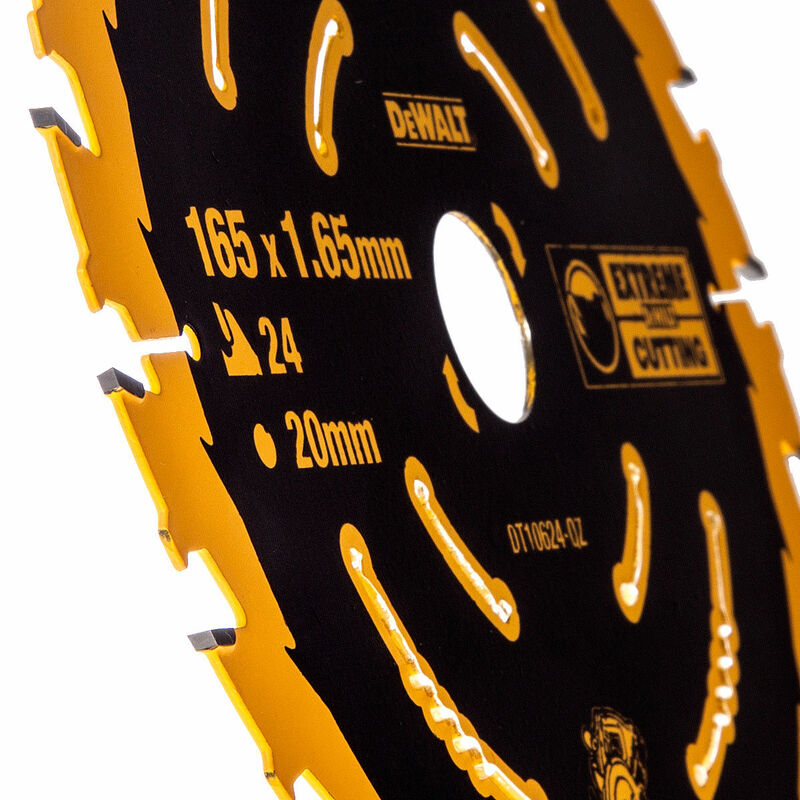 This blade with Face Grind reduces the push force required when cutting with a cordless saw. With a Reinforced Shoulder Design, the anti kick back design reinforced carbide tip for impact resisance. 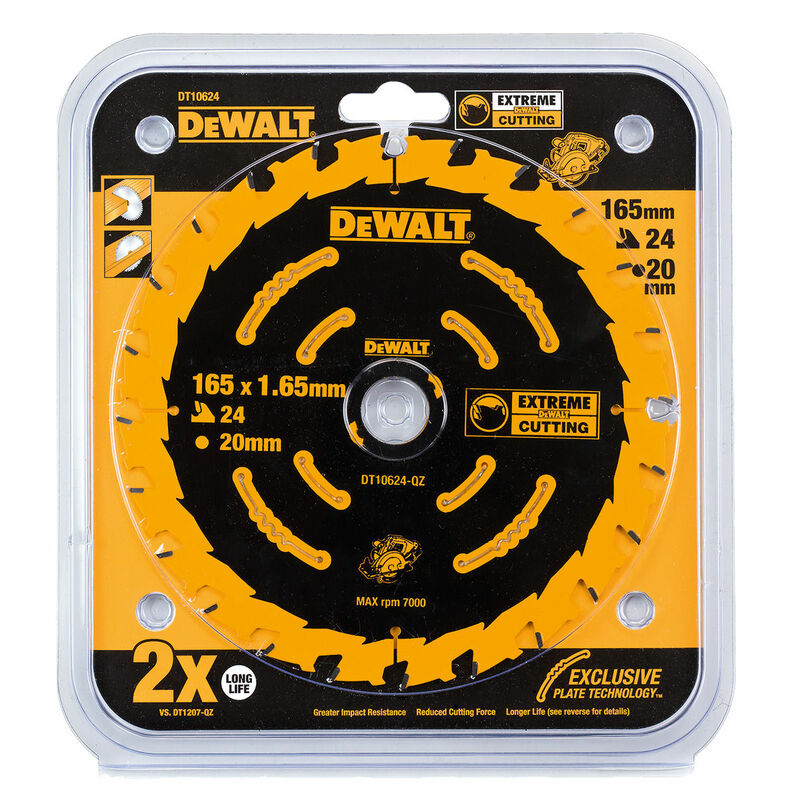 These 165mm DeWALT Circular Saw Blades cut staighter and the teeth stay sharper longer with reduced breakage. Reduces cutting force. Exclusive Plate Technology with Resin filled expansion slots. Reduced push force required by the user. Cuts straighter with reduced binding. Teeth stay sharper longer with reduced breakage.